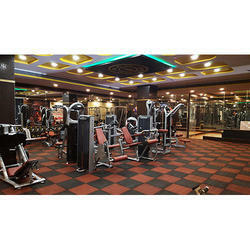 We are offering a wide range of Tuff Floor Gym Rubber Tiles Flooring. Supported by trained personnel, we are readily instrumental in presenting a comprehensive spectrum of Tuff Floor Gym Rubber Tiles Flooring. Price Range: 120 to 600/ Sft. Prices may vary according to Product Quality. Looking for “Tuff Floor Gym Rubber Tiles Flooring”?